You know what we say about kitchens! 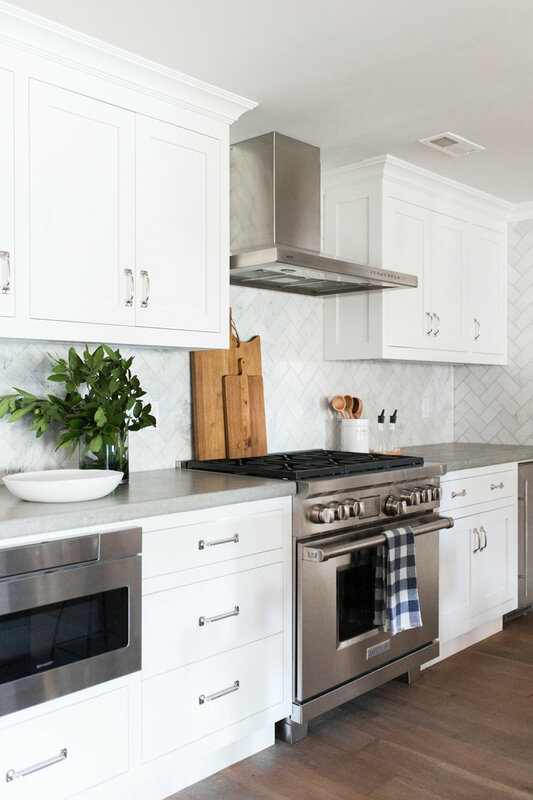 They’re the heart of the home, but kitchen remodel costs can really add up if you’re not careful! 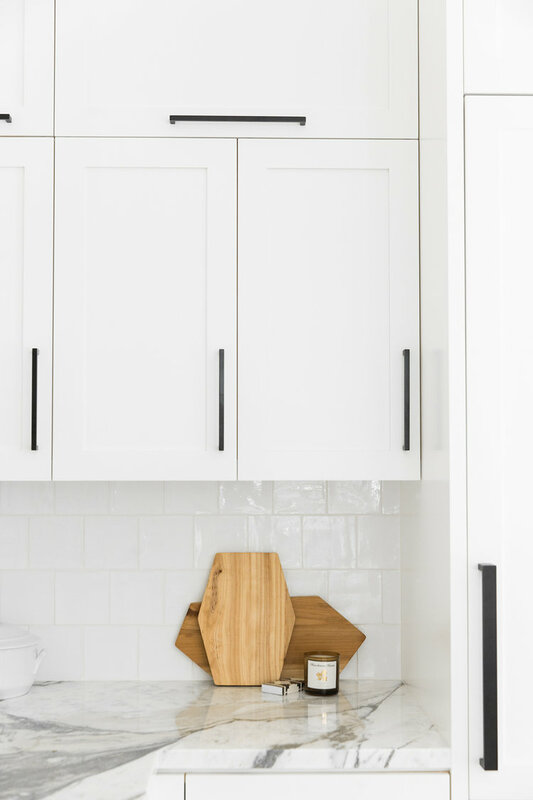 We’re sharing our kitchen remodel ideas to ensure you have a space that feels dreamy and personal to you, but doesn’t get you into trouble financially! 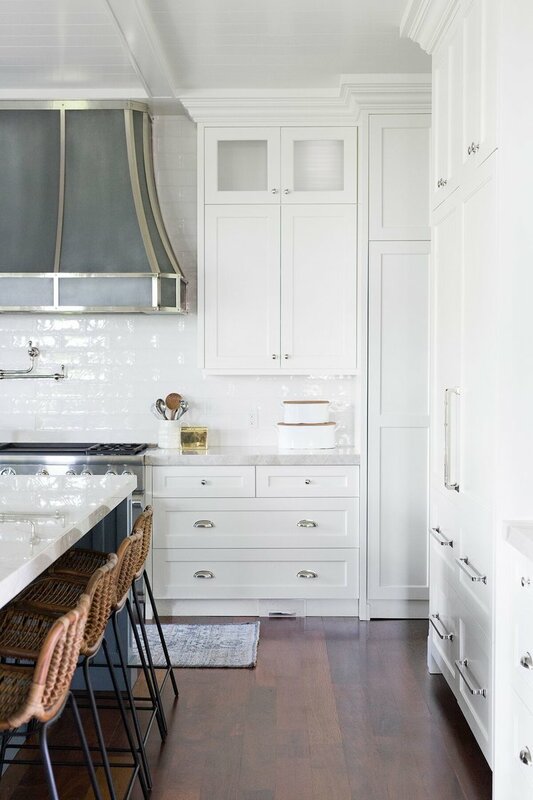 If you’re on a tight budget, cabinetry is a place to save money! Check out Semi-Handmade or Ikea. You can even choose a budget friendly backsplash to keep your kitchen remodel cost down. We like to spend money on the jewelry of the space. Get a really great faucet, hardware and lighting. Let’s start with the lighting! They make the first impression in a kitchen, and really stand out as the focus piece. 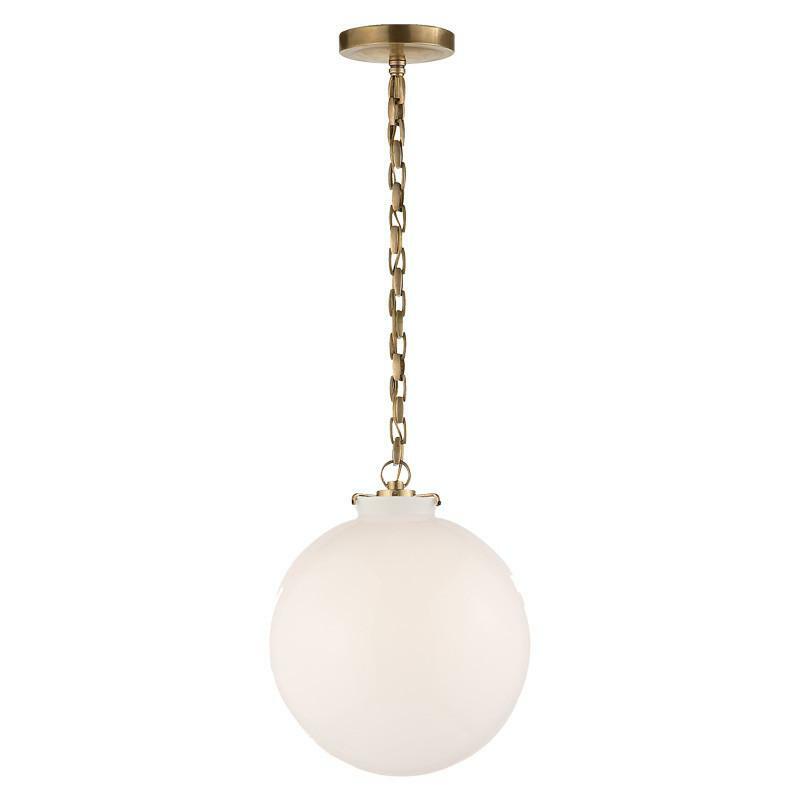 When we’re designing a clients home, the inspiration always starts with lighting. We’ve got a guide for hanging lights that might help you with sizing and placement! Hardware makes a bigger statement than you realize. They’re the detail that makes the space feel elegant and elevates the design. If you’re feeling lost on the placement, don’t fret! We’ve got a guide for that here. When mixing metals, we don’t use more than three different finishes. 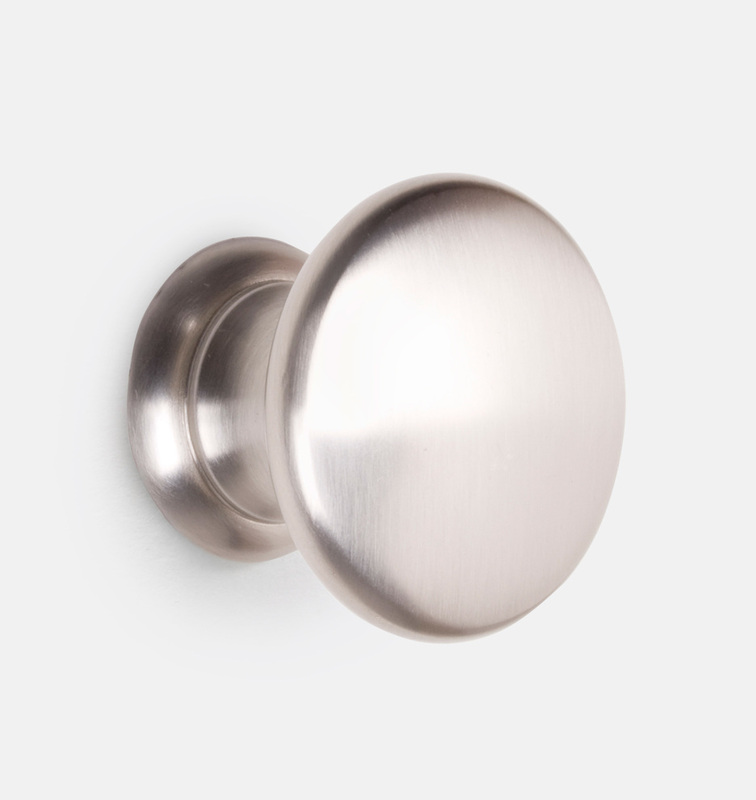 We also don’t use different tones of the same finishes at once. All the levels are kept the same. 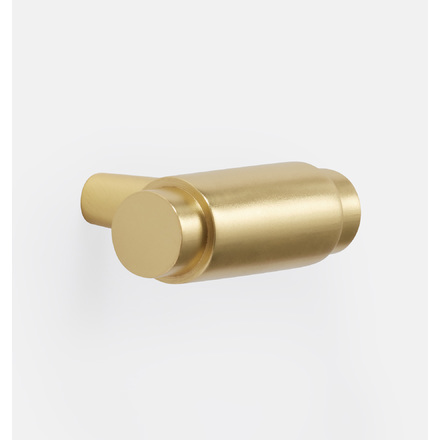 For example, all of our hardware is one finish, and we’ll contrast with the lighting. 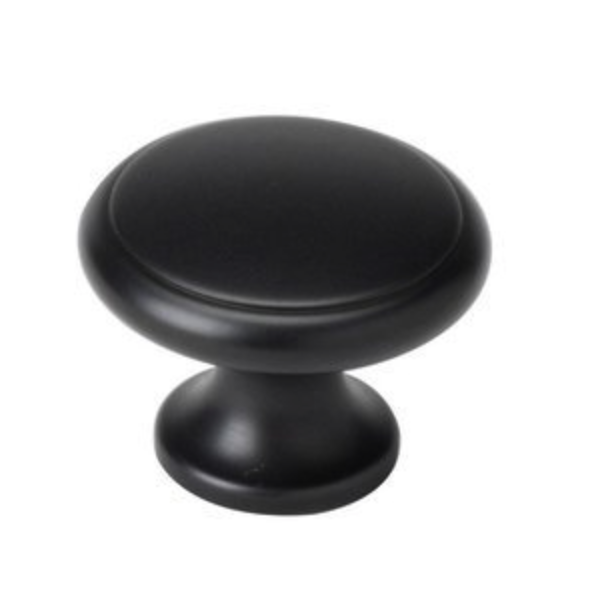 Black hardware is really cool in a modern or rustic space. It’s chic, bold, and so pretty. If you’re looking for a more rustic look and want something textured, shoot for an oil-rubbed bronzed black finish that lets the golden hues shine through. 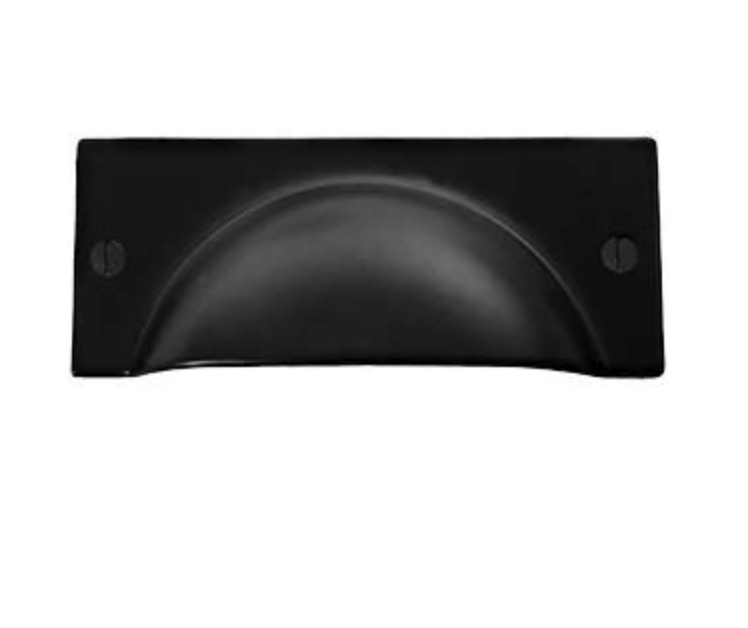 A matte or black finish is perfect for a clean, modern space. More on that here! Silver is a classic choice! 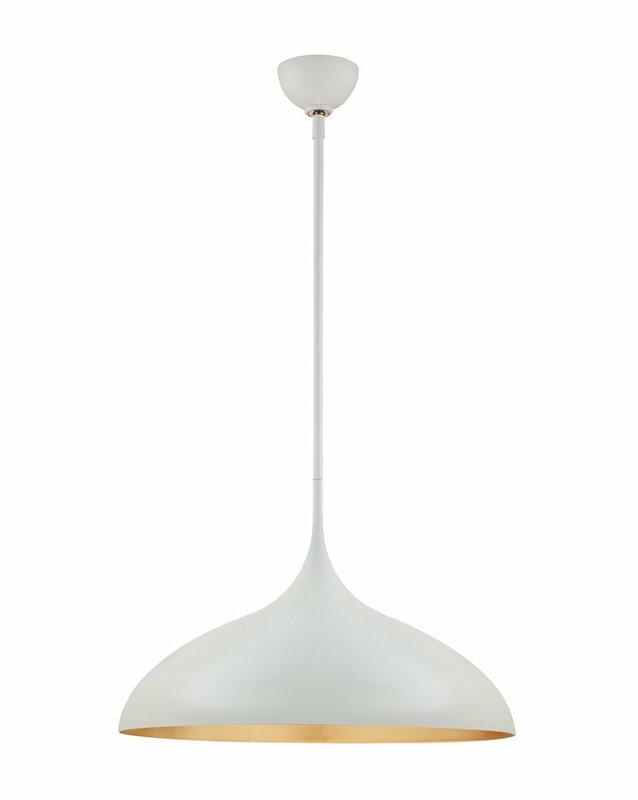 It’s never going out of style, and definitely brings elegance to the space. 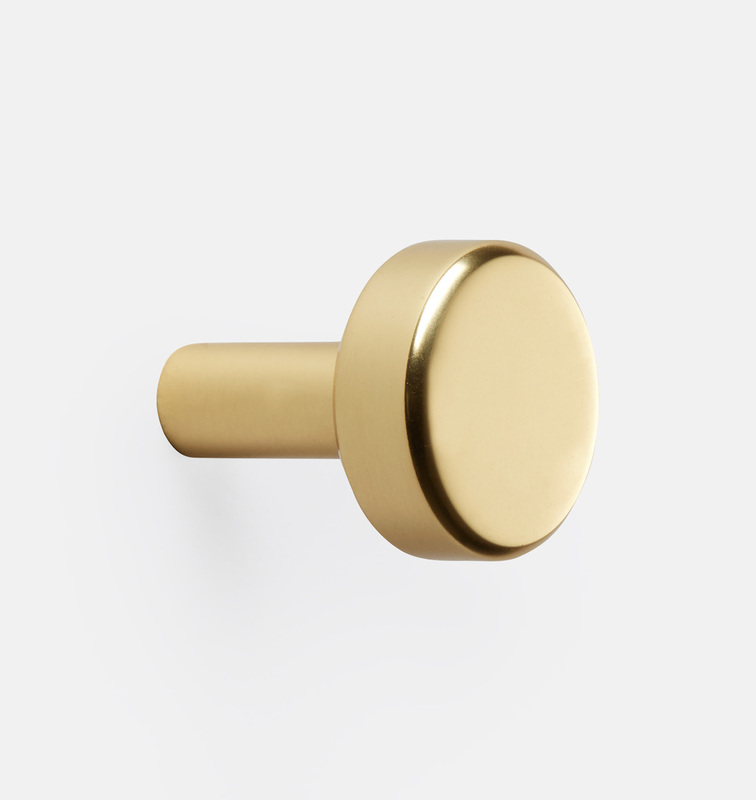 Sometimes brass finishes can be difficult to match since there are so many types (unlacquered, satin, antique, polished, etc.). Generally, you just have to order samples to see everything together. The satin (shiny) finishes can err on the trendy side, but their still worth trying if you want to! The unlaquered finishes tend to out stand the test of time, and age beautifully. 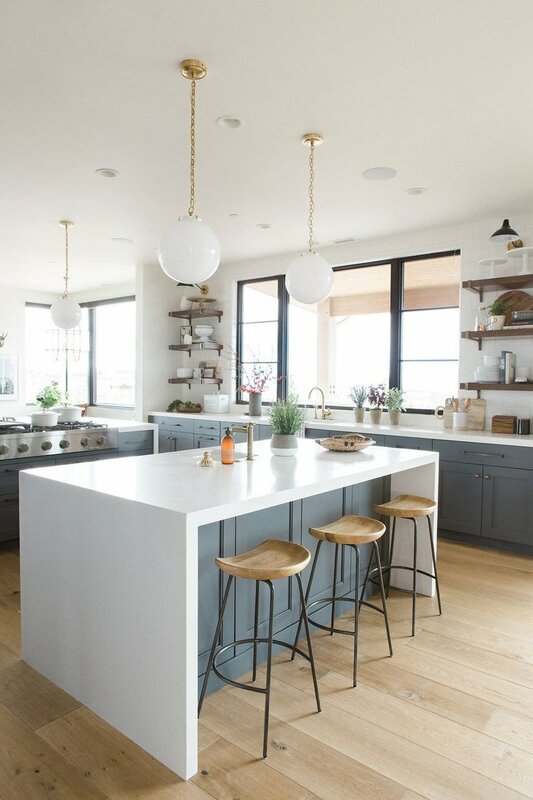 Countertops are a worthy investment for obvious reasons, it’s a surface that you see and use everyday. Not only do they take up a lot of space, but they’re functional. If it’s a cheap material it will likely look dated quickly and won’t be a quality that will last! Invest in a countertop that will cater to your needs. If you want a light countertop, we love a calacutta, soapstone or granite. Natural countertops are beautiful, but a lot of our clients don’t love the maintenance or wear overtime, so we’ve been using a lot of quartz! At the moment we’re loving honed quartz. If you want something more glam, a polished quartz is pretty too!